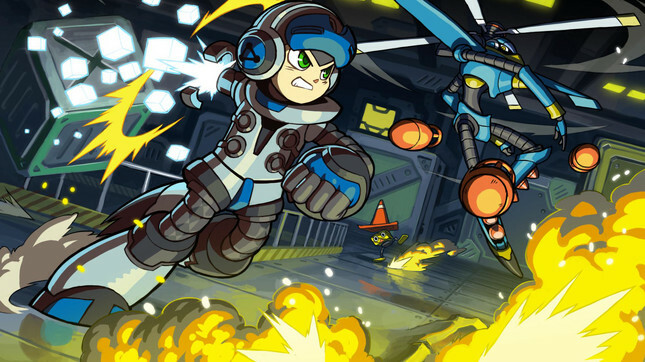 Mega Man spiritual successor Mighty No. 9 will not release in 2015 as planned, according to multiple retailer listings. Originally slated for April 2015, then delayed to September, the massively-crowdfunded action platformer has been delayed again, with retailers Amazon, Best Buy, and GameStop listing release placeholders of 2016. The delay is yet another embarrassment for developer Comcept, whose Kickstarter for Red Ash – the spiritual successor to Mega Man Legends – failed to reach its crowdfunding target today. Backers pulled out of that campaign en masse when it was announced Chinese firm Fuze Entertainment would fund the game, relegating the Kickstarter to unspecified "stretch goals." Comcept and publisher Deep Silver have thus far declined to comment on the delay, possibly to avoid further tarnishing Red Ash by association. Whenever Mighty No. 9 is released, it will come to a mighty ten platforms: Xbox One and 360; PlayStation 3, 4, and Vita; Wii U; 3DS; and PC, Mac, and Linux.